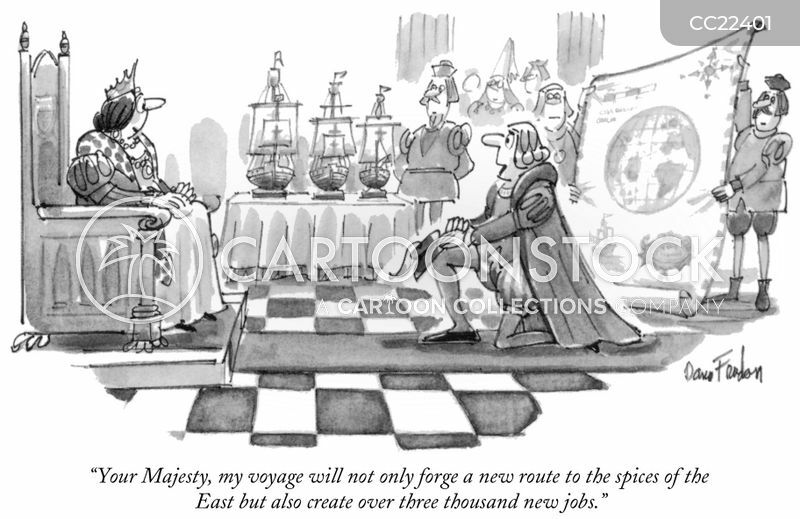 "Your Majesty, my voyage will not only forge a new route to the spices of the East but also create over three thousand new jobs." 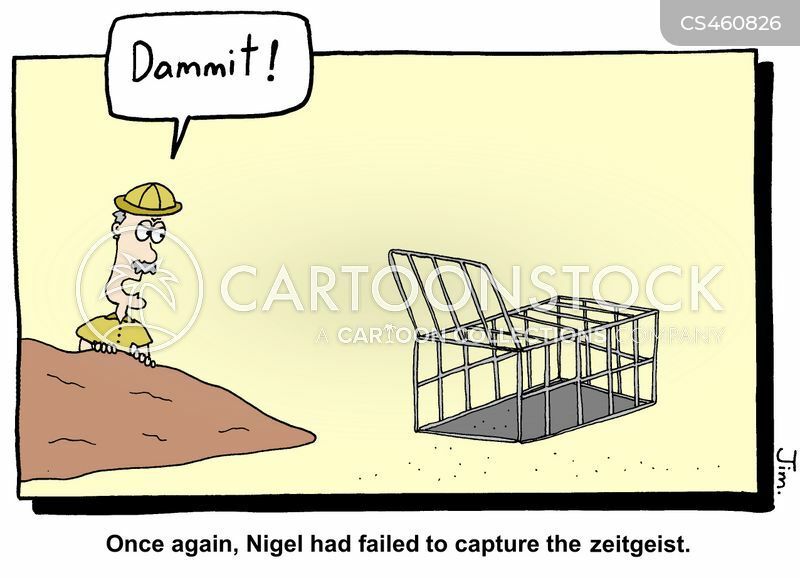 Once again, Nigel had failed to capture the zeitgeist. 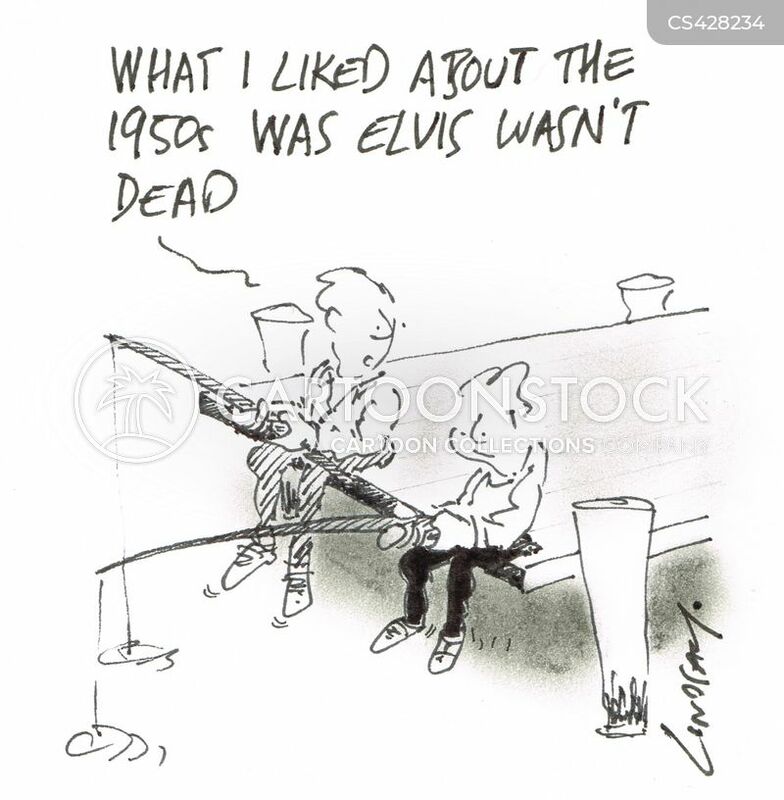 "What I liked about the 1950s was that Elvis wasn't dead." 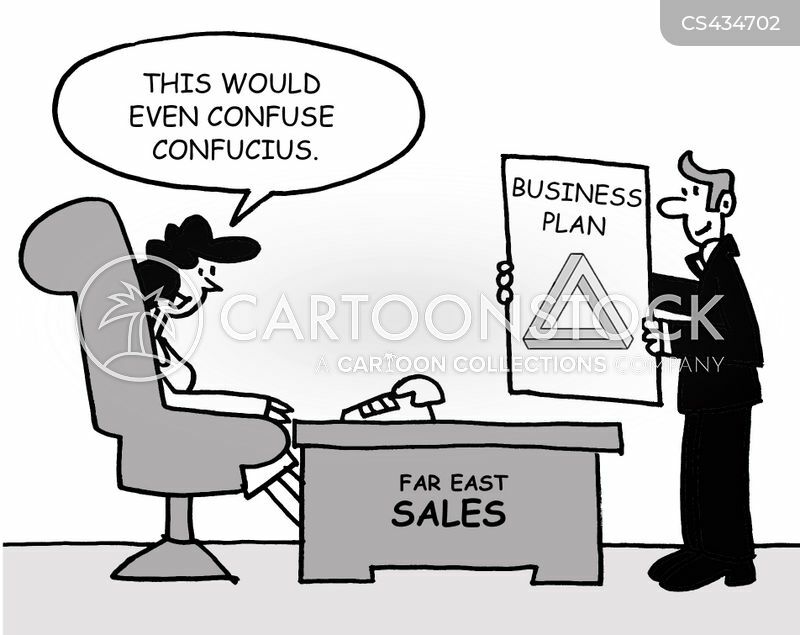 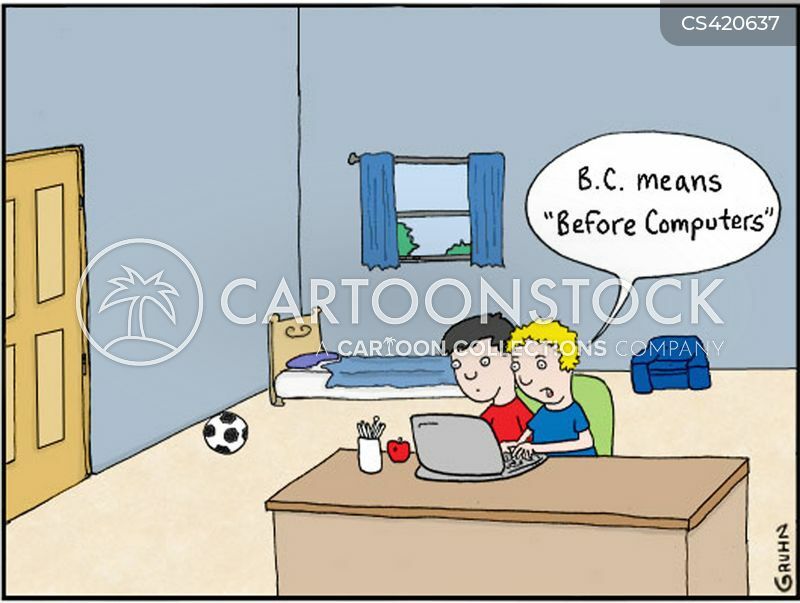 "This would even confuse Confucius ." 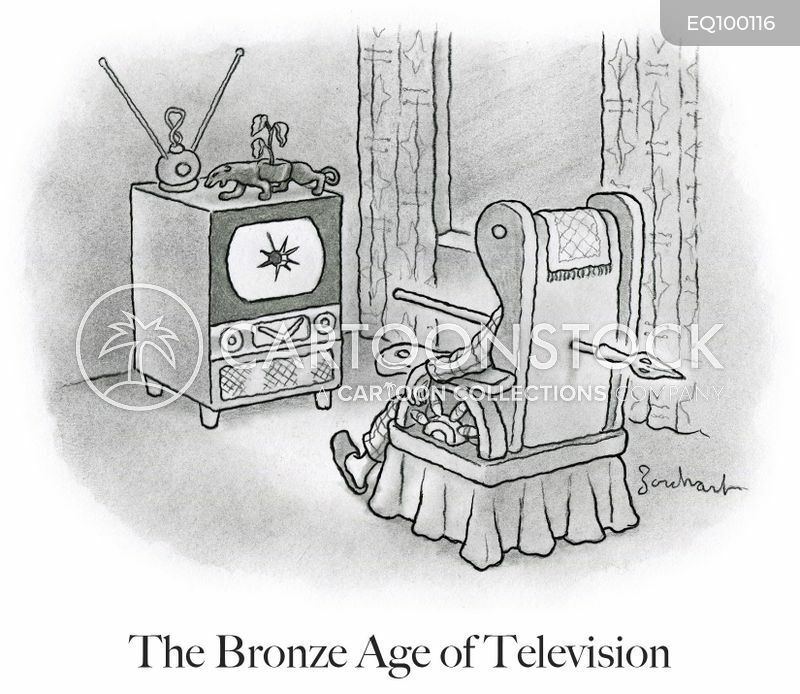 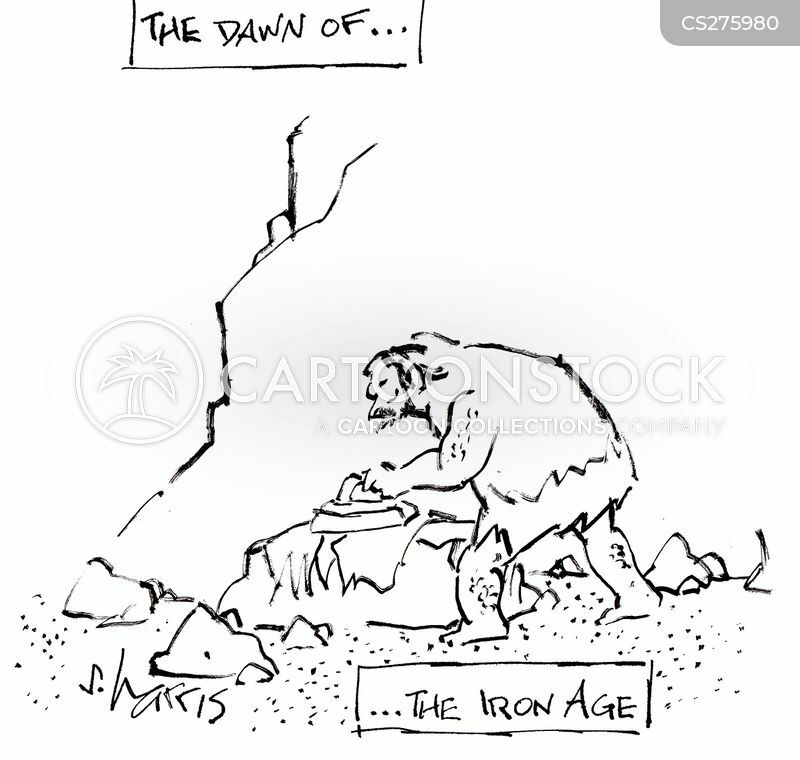 The dawn of the...Iron Age. 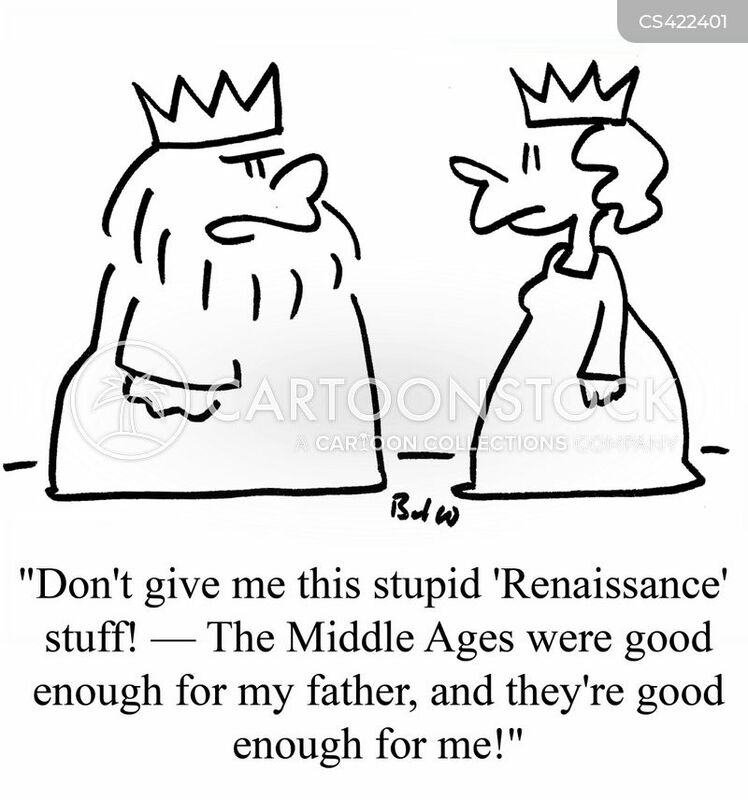 "Don't give me this stupid 'Renaissance' stuff! 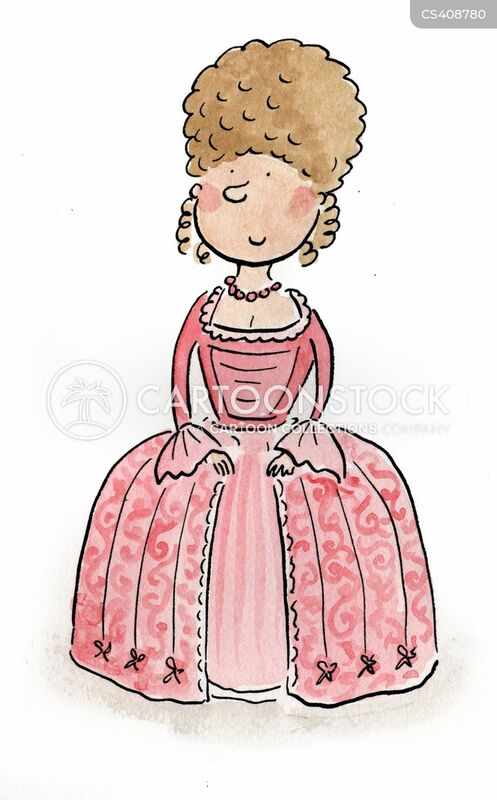 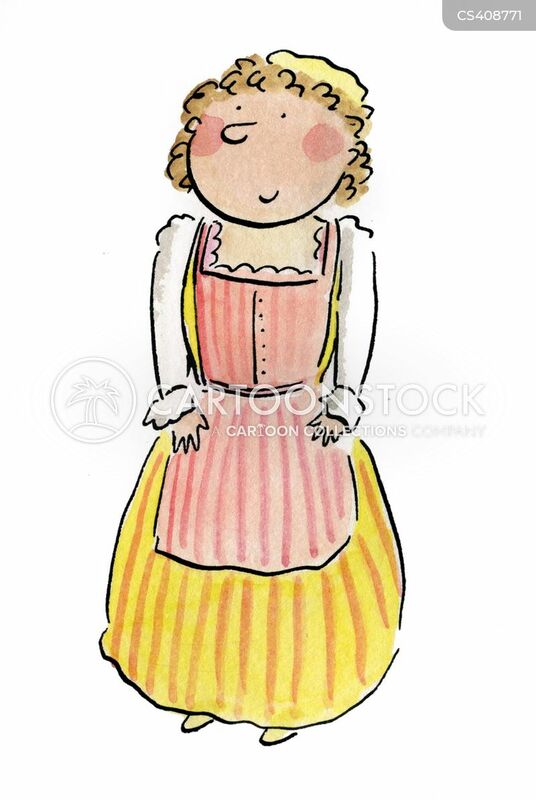 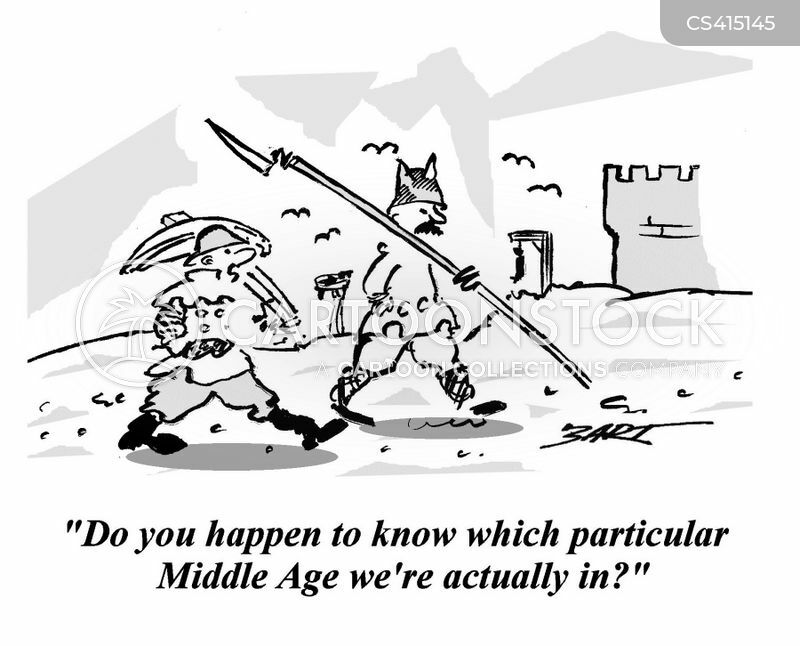 - The Middle Ages were good enough for my father and they're good enough for me!" 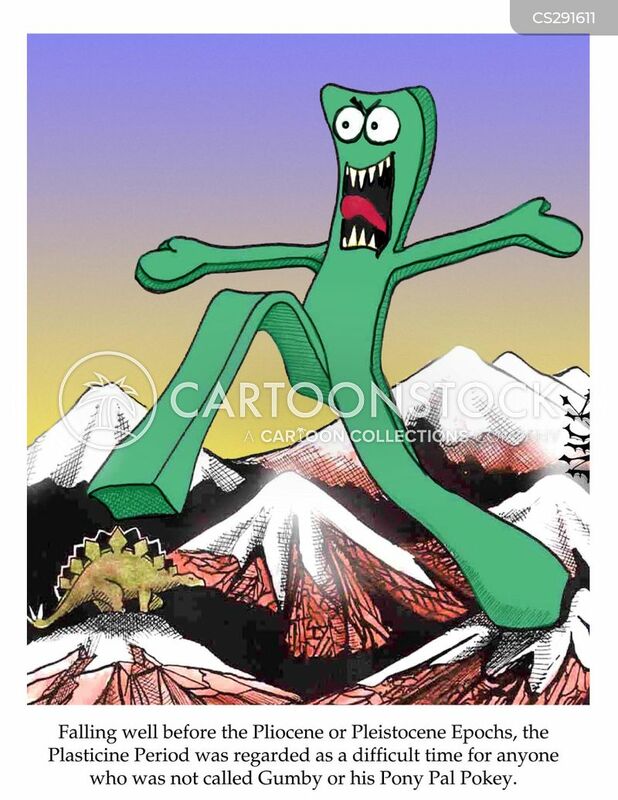 Falling well before Pliocene or Pleistocene Epochs, the Plasticine Period was regarded as a difficult time for anyone who was not called Gumby or his Pony Pal Pokey. 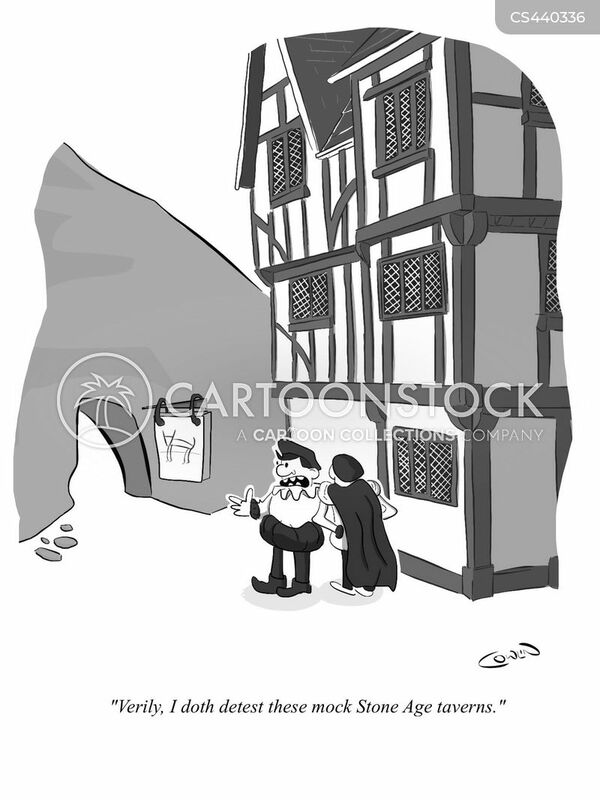 "Verily, I doth detest these mock Stone Age taverns." 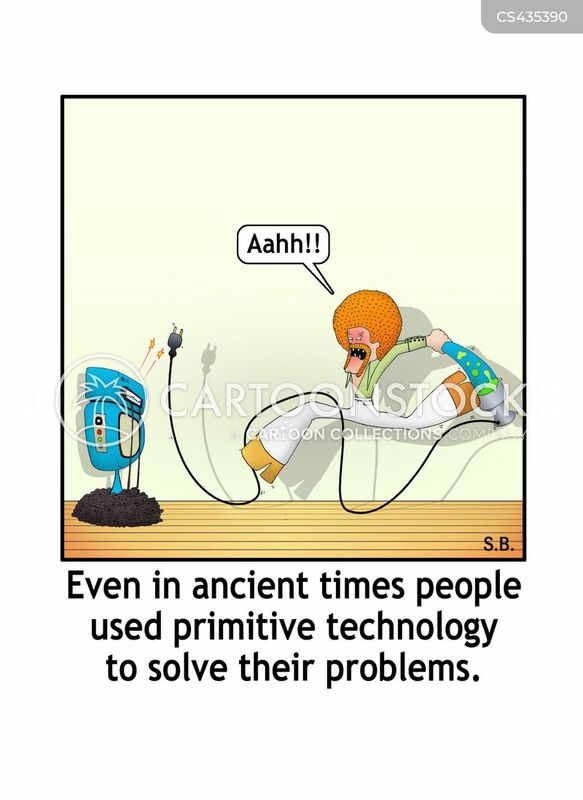 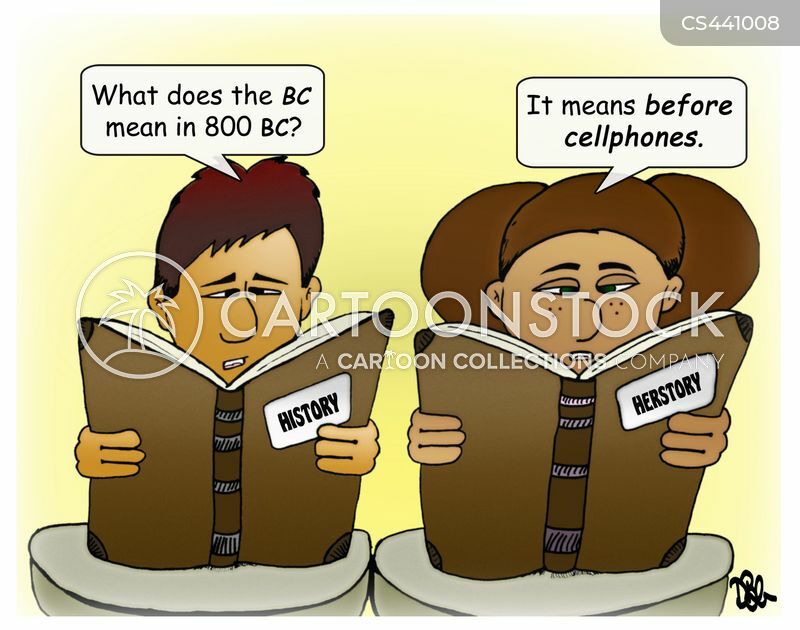 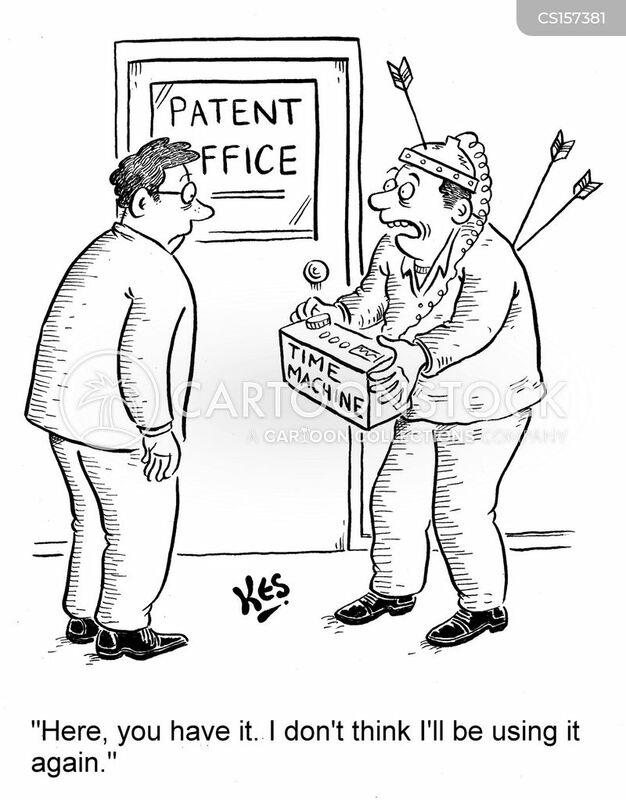 Even in ancient times people used primitive technology to solve their problems. 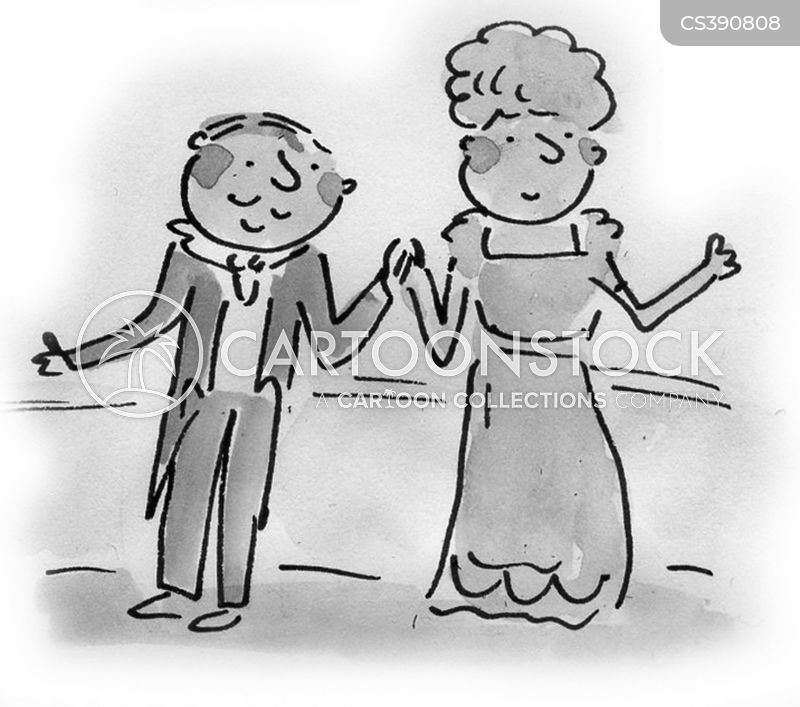 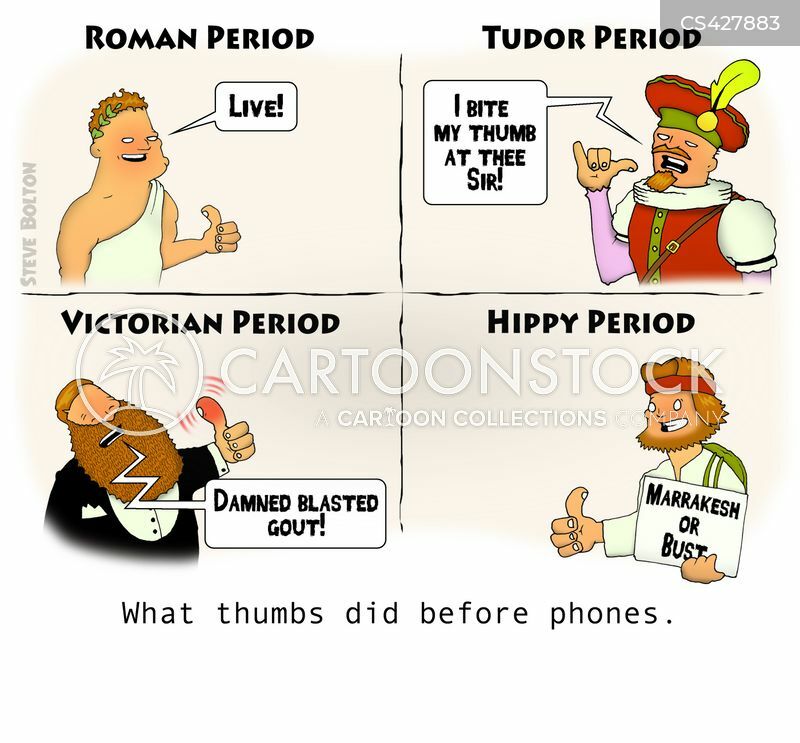 What thumbs did before phones.